Fuchsia 'Annabel' (Fuchsia 'Annabel'): growing, planting, caring. Full description for Fuschia ‘Annabel’ not yet available. Fuchsias are trees and shrubs that come from Central American, South America, and New Zealand. They have hanging and axillary flowers gathered in bouquets. 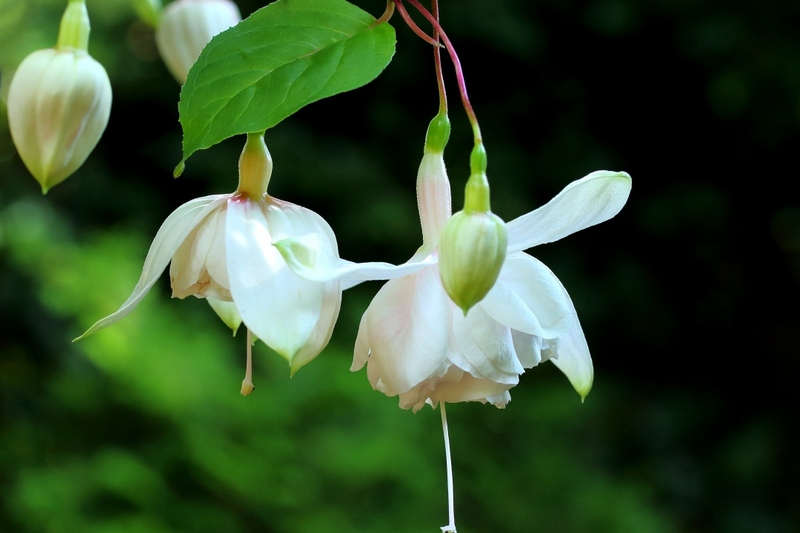 The flowers have curbed colored sepals on a long tube, with the petals forming a bell shape. Plant in the spring in deep well drained fresh soil, in the sun or partial shade. You can plant your hardy fuchsias in the ground as long as you bury 5 cm of the stem's base and find a spot sheltered from cold winds. If potted, choose a container that is at least 30 cm in diameter and fill it with potting soil and well balanced soil. Mulch your hardy fuchsias before winter with a thick layer to protect them from the cold. Repeat the mulching in March-April with a a soil enriching compost and cover with leaves or ground wood. Bring in your potted non-hardy fuchsias and keep their soil very slightly damp during winter. In the month of May, take out your fuchsias, but find them a place that is sheltered from wind. In mid-October, prune hardy fuchsias planted in open soil to protect them during winter. After flowering, prune fuchsias a lot, leaving only 2-3 eye buds at the base of this year's growth, giving them a stocky habit. Fuchsias are sensitive to aphids, whiteflies, bugs, weevils, botrytis cinerea fungi, and rust. All of these damage the leaves but don't danger the plant's survival unless severely infected. Most of these pests prefer hot and humid environments. If potted, fertilize during the flowering, either with a liquid fertilizer such as liquid manure or decoction or by revitalizing the top soil by adding potting soil and lightly hoeing.